Widowsorwidowers.com is the longest running dating website in Ireland, exclusively for widows and widowers.  Established in 2004 and with partner sites in the UK, US, Australia, Canada, New Zealand and South Africa, Widowsorwidowers.com is dedicated to delivering a premium online dating experience. Whether you’re based in the picturesque environs of Galway, the historic streets of Dundalk, or along the bustling coast of Dublin, Widowsorwidowers.com is here to help you connect with other widows or widowers living in your local area. Members from across Ireland, with a flexible range of search and location options. For those seeking to meet somebody new after the loss of a spouse, it can often seem hard to know where to begin. At Widowsorwidowers.com it is free to join and we aim to make it as easy and straightforward as possible for widows and widowers to meet in a safe and relaxed manner. Based in the various parts of Ireland providing the ideal conditions for new relationships to flourish. With the significant growth of the internet in the past decade, online dating has become the perfect way for singles who are looking to take those first, important steps towards dating again. Sending private messages to each other in a safe and familiar environment gives you the opportunity to get to know each other gradually before you decide whether or not you want to take things further. Dating again and meeting other singles could change your life for the better and although, initially, you may find the thought of being with someone else a little daunting, the outcome of a new relationship can be exciting! With its rich, diverse traditions and mix of people, Ireland is home to a wide variety of individuals. At Widowsorwidowers.com it is our number one goal to help you find that special someone who will understand what you’ve been through and with whom you can begin a new journey. At Widowsorwidowers.com the security of your personal details and communications are our top priority. We use Online Dating Protector along with the most advanced anti-fraud solution software to ensure all your information remains safe and secure.